SAP Canada Inc. and American Express (Amex) teamed up this week to offer a new solution for small- and medium-sized enterprises (SMEs). The companies jointly launched the brand SAP Business One — The American Express Edition. Under the deal, American Express and SAP Canada will distribute and offer support services for and develop similar “specialized vertical-industry editions” for partners and small enterprises. The software suite includes SAP Business One software — SAP’s financial, distribution and customer relationship management SME platform originally launched last year — combined with specific Amex enhancements. According to Michel Vincent, vice-president, SMB at SAP Canada, SAP is making a marked effort to provide offerings to both SMEs and larger organizatons. 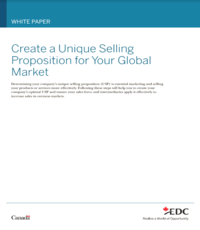 The offering, part of SAP’s vertical industry approach to the Canadian mid-market, is targeted to wholesale and distribution companies. Among the challenges for SMEs right now is in “transforming the data into relevant information,” Vincent said. Charles Riess, managing director, consulting and information Solutions at American Express Tax and Business Services Inc., said the offering was originally developed in the U.S. The additional functionality includes applications for integrated wireless warehouse management, electronic data interchange (EDI), document management, sales tax and credit card payments, Riess said. The suite runs on Windows 2000 server hardware and will be distributed by Vaughn, Ont.-based IT solution provider The RAM Group, Riess noted. Organizations can also purchase the offering preinstalled on an IBM Corp. xSeries server. The IBM solution will allow companies to use IBM Express offerings as well as financing through IBM Global Financing, SAP said. The suite is available in three editions (standard, professional and enterprise) with pricing starting at $10,000, Vincent said. Analysts note that SAP, traditionally known as a top-tier business applications vendor, has been working hard to shift the idea that its offerings are too complex for smaller companies. According to Stephen O’Grady, software analyst for IT consulting firm RedMonk in Bath, Me., this is due in part to their brand association with solutions for large enterprises. Many SMB employees may still not be familiar with SAP at all, O’Grady noted. “This is a problem many enterprise oriented vendors have faced, in that the name recognition at the small and medium business is difficult,” O’Grady said.